This is a difficult hurdle for many home sellers to get over, especially if it is their first time selling a home. You love your home; you may have raised a family in your home. Overpricing your home could prevent potential buyers from even considering it, or it could cause the house to sit on the market for an extended period. The longer your home sits, the more it is perceived as overpriced – or perhaps as a home with something wrong with it. Overpricing often leads to you accepting a price far below your original number, and sometimes even below similar homes. Putting your home up for a fair amount, and perhaps even for a slightly lower price than others in your market can drive up the eventual selling price through multiple bids from hungry buyers. Aim for a fair price that reflects the current market. Typically you can get a good handle on this after your home has been on the market for three to four weeks with ample people looking at it and providing feedback. Listen to what the market is telling you! Homes are made up of many different components, all necessary for its overall look and performance. Buyers want to purchase homes that are in good repair, where everything works and can be expected to work shortly. If you are like most homeowners, you want to sell your home for the maximum amount of money possible. However, you must realize that top dollar only goes to properties in good repair. Unless you want to haggle with the bargain hunters, you need to keep your home in good condition. If it is not that way now, you need to make it so before putting it up for sale. House showings are an absolute necessity to make a deal. Buyers want to see your home, and they want to do it on their time. When you put your house on the market, you have to accept the fact that you’re committing to showings, and you must be willing to make your available for those viewings. Turning down showings is a sure way to kill potential sales. Keep in mind that most buyers and their agents do not want YOUR AGENT hovering over them. They want to be able to view the home and speak freely without the listing agent impeding their ability to do so. A missed showing is a missed opportunity and is a top home selling mistake that can easily be avoided! Keep your home well lit and spotless. You want to make your home look as inviting as possible, which means good lighting and no clutter. If your home does not have a ton of windows, make sure that on darker days you plan ahead and leave lights on in the most shaded areas of the home. Dark homes are not appealing to buyers. Don’t rely on the purchaser’s agent to be the one turning on lights. While you may not want to go to the expense of hiring a professional stager, you can at least make an effort to make minor staging concessions yourself. Cleanliness applies to the exterior as much as the interior, so make sure the landscaping is cleaned up, leaves are raked, and the grass is cut. Any clutter on the lawn should be eliminated. Keep the inside vacuumed, counters cleared off, and all the clothes put away at the very least. 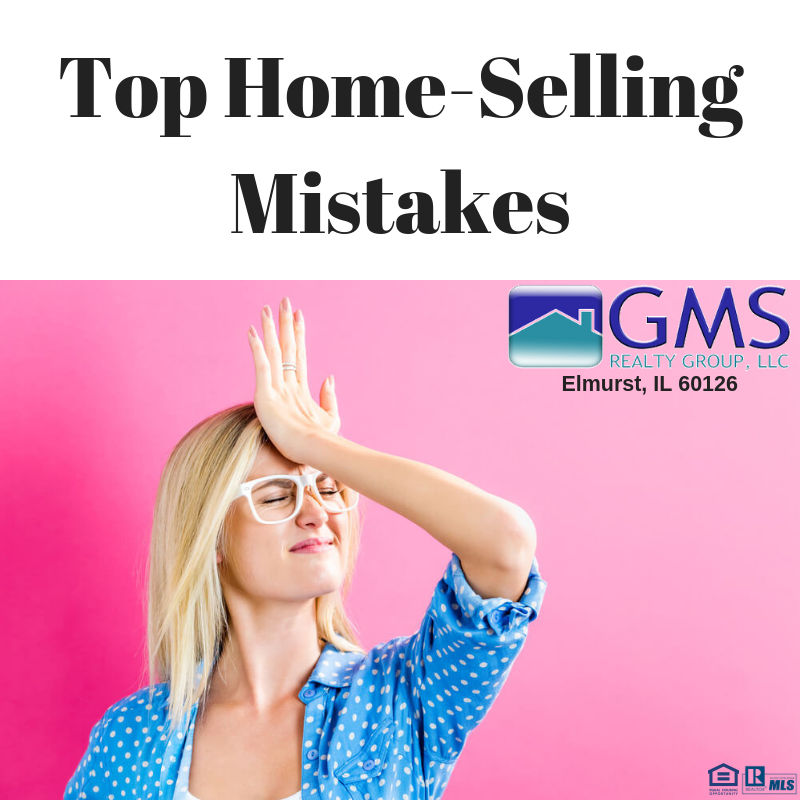 All of these home seller mistakes are easily avoided with the help of an experienced real estate agent. A good agent knows what makes a home sell, and what does not. If you want to be confident that your home looks good to buyers, find a local agent that will work with you on selling your home. It may make the difference between a satisfying sale and severe disappointment. Keep in mind that not all Real Estate agents are the same. In fact, Realtors are a dime a dozen as it is effortless to get a Real Estate license. Do your homework and hire an agent that has a track record in both soft and robust markets.